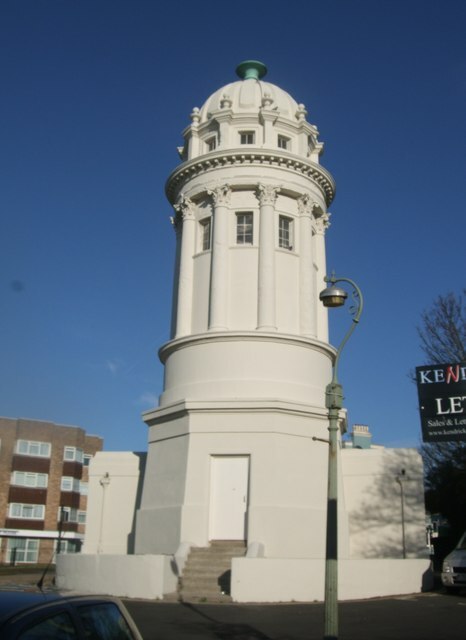 Situated near Queens Park in Brighton, the Pepper-pot was built to house the villa's pump and water tank. It supplied water by force from the pressure of water contained in the large tank in the top of the tower. It has since been used for printing and publishing the Brighton Daily Mail; as an observation tower in the Second World War; a scout headquarters; an artist's studio, and finally as a public convenience. Today it is not used at all. © Copyright Paul Gillett and licensed for reuse under this Creative Commons Licence.